Repeat after me: Roméo Dallaire is not progressive. And paying Dallaire to speak at your meeting does not further the cause of international peace and a just system of international relations. 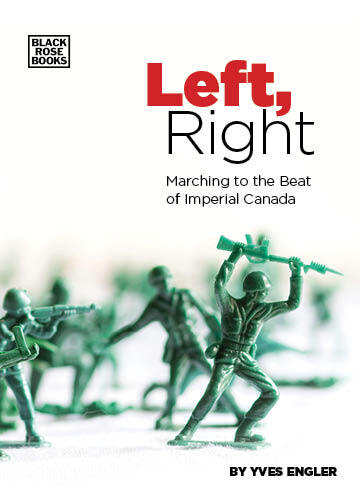 I was reminded yet again of how many supposed “progressive” organizations seem confused about Dallaire and what he represents after learning he and Irwin Cotler were the keynote speakers at a recent human rights forum. As it was about to begin I interjected to tell attendees that these two former politicians don’t deserve the label “human rights champions”. While I mentioned Cotler’s endless apologetics for Israeli belligerence, my focus was the famed general’s support for the “Butcher of Africa’s Great Lakes” region, Paul Kagame. Conference cosponsor Amnesty International – and many progressive Canadians – consider Dallaire an internationalist, humanist, “hero” (The Ontario Public Service Employees’ Union, Canadian Auto Workers and Unifor have all given awards or a convention platform to Dallaire.) But, this ignores a background rooted in an authoritarian institution and his pro–military/imperial positions. A retired general, Dallaire is the son of a military man (his son and father-in-law are also military men). Before his 1993 deployment to Rwanda, which he said at the time he couldn’t find on a map, “his defence knowledge was predicated almost exclusively on the needs of the NATO alliance”, according to biographer Carol Off. Aren’t progressives usually reticent of the international outlook of those close to NATO and the military command? Dallaire opposed calls to withdraw Canadian soldiers from Afghanistan, saying they should stay until the job is done. Dallaire has called for increased military spending. Dallaire is a proponent of Canada joining US Ballistic Missile Defence. Dallaire argued that Canada should have secured Baghdad before the 2003 US invasion, according to an October 2006 Edmonton Journal article titled “Canada should have led Iraq invasion, Dallaire says” (but he did not want Canada to participate in the actual US-led coalition). Dallaire said Canadian air strikes in Iraq/Syria in 2014-16 weren’t sufficient. “There is no way that you will destroy that enemy without boots on the ground,” he said. Dallaire supported the overthrow of Haiti’s elected government in 2004, according to the Montreal Gazette. In a story five days after the Canadian backed coup titled “Dallaire fears new Rwanda disaster in Haiti: Ex-UN commander urges Canada to act”, the former General said, “anywhere people are being abused, the world should be involved. Comparing Darfur in the mid-2000s and Syria last year to Rwanda, Dallaire called for western intervention there. The General is also an aggressive proponent of the liberal imperialist Responsibility to Protect (R2P) doctrine. Dallaire publicly promoted the Paul Martin government’s push to have the UN adopt R2P in 2005 and cited the doctrine to justify the 2011 NATO war on Libya. Dallaire is co-director of the Will to Intervene Project, which seeks to build “domestic political will in Canada and the United States to prevent future mass atrocities.” But the architects of W2I don’t mean the “political will” to stop Washington from spurring “mass atrocities” à la Iraq, Vietnam, Somalia, Haiti, Korea etc. Human rights rhetoric aside, W2I is an outgrowth of the R2P doctrine, which was used to justify the 2011 NATO war in Libya and 2004 overthrow of Haiti’s elected government. While the less sophisticated neoconservatives simply call for a more aggressive military posture, the more liberal supporters of imperialism prefer a high-minded ideological mask to accomplish the same end. W2I is one such tool. For many Dallaire embodies R2P and his name has been invoked to justify imperialist interventions. On January 31, 2003, Liberal Secretary of State for Latin America and Minister for La Francophonie Denis Paradis organized the “Ottawa Initiative on Haiti” to discuss that country’s future. 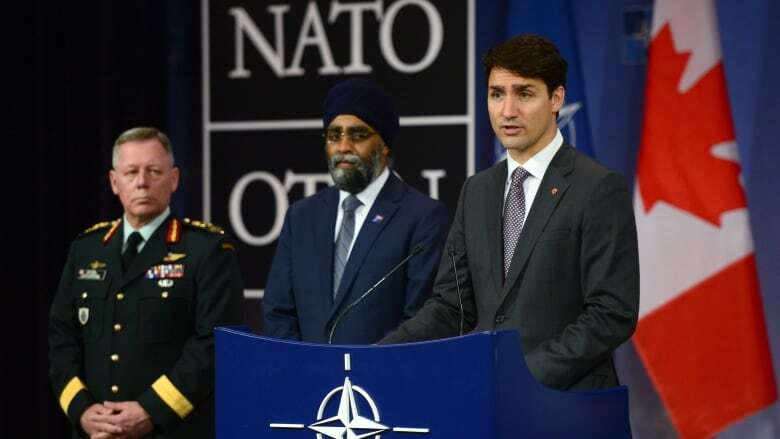 No Haitian officials were invited to this two-day assembly where high-level US, Canadian and French officials discussed removing Haiti’s elected president, re-creating the dreaded army and putting the country under UN trusteeship. To justify the government’s plans in Haiti, Paradis cited purported inaction in Rwanda and Dallaire’s personal breakdown thereafter. The minister told the March 15, 2003, issue of l’Actualité, which brought the “Ottawa Initiative on Haiti” meeting to public attention, “I do not want to end up like Roméo Dallaire”, which was his reason why Canada needed to intervene in Haiti. To be fair, one should not blame an individual just because someone cites his name to justify a dastardly deed. Unless, of course, that individual has deliberately twisted the events in which he has participated in a way that aligns with those seeking an ideological cover to justify Western interventions (and a US backed dictatorship in Kigali). According to the standard narrative of the Rwandan Genocide, ethic enmity erupted in a pre-planned 100-day rampage by Hutus killing Tutsis, which was only stopped by the Rwandan Patriotic Front (RPF). A noble Canadian general tried to end the bloodletting but a dysfunctional UN refused resources. Washington was caught off guard by the slaughter, but it has apologized for failing to intervene and has committed to never again avoid its responsibility to protect. Dallaire has propagated this wildly simplistic account of the tragedy that gripped Burundi and Rwanda in the mid-1990s. He has ignored the overwhelming evidence and logic that points to the RPF’s responsibility for blowing up the presidential plane that unleashed the mass killings in April 1994. Prior to the murder of the Hutu presidents of Rwanda and Burundi and much of the Hutu-led Rwandan military command, Dallaire was seen as favouring the US-backed RPF in contravention of UN guidelines. In response to the general’s self-serving portrayal of his time in Rwanda, the overall head of the UN mission in Rwanda, Jacques-Roger Booh Booh, published Le Patron de Dallaire Parle (The Boss of Dallaire Speaks). Almost entirely ignored by the Canadian media, the 2005 book by the former Cameroon foreign minister claims the Canadian general backed the RPF and had little interest in their violence despite reports of summary executions in areas controlled by them. To a large extent the claim of a “conspiracy to commit genocide” rests on the much celebrated January 11, 1994, “genocide fax”. But, this fax Dallaire sent to the UN headquarters in New York is not titled, to quote International Criminal Tribunal for Rwanda lawyer Christopher Black, “‘genocide’ or ‘killing’ but an innocuous ‘Request For Protection of Informant.’” The two-page “genocide fax”, as New Yorker reporter Philip Gourevitch dubbed it in 1998, was probably doctored a year after the mass killings in Rwanda ended. In a chapter devoted to the fax in Enduring Lies: The Rwandan Genocide in the Propaganda System, 20 Year Later, Edward Herman and David Peterson argue two paragraphs were added to a cable Dallaire sent to UN headquarters about a weapons cache and protecting an informant (Dallaire never personally met the informant). The two (probably) added paragraphs said the informant was asked to compile a list of Tutsi for possible extermination in Kigali and mentioned a plan to assassinate selected political leaders and Belgian peacekeepers. Mission head Booh-Booh denies seeing this information and there’s no evidence Dallaire warned the Belgians of a plan to attack them, which later transpired. Finally, a response to the cable from UN headquarters the next day ignores the (probably added) paragraphs. Herman and Peterson make a compelling case that a doctored version of the initial cable was placed in the UN file on November 27, 1995, by British Colonel Richard M. Connaughton as part of a Kigali–London–Washington effort to prove a plan by the Hutu government to exterminate Tutsi. Even if the final two paragraphs were in the original version, the credibility of the information would be suspect. Informant “Jean-Pierre” was not a high placed official in the defeated Hutu government, reports Robin Philpott in Rwanda and the New Scramble for Africa: From Tragedy to Useful Imperial Fiction. Instead, “Jean-Pierre” was a driver for an opposition political party, MRND, who later died fighting with Kagame’s RPF. Not all of us. Count this Canadian as someone who does not admire Dallaire.